We offer three different types of license plate holders (aside from our license plate magnets) which are used by auto dealers to adhere the license plate to the vehicle during test-drives. 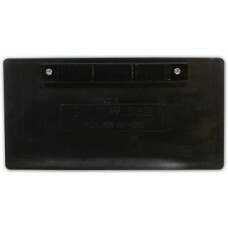 The Rubber License Plate Holders secure to the vehicle under the trunk lid and have a groove which the license plate slides into during the test drive. 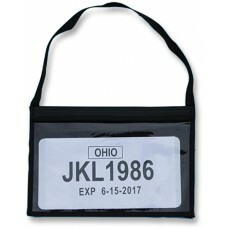 The Tag Bag also attaches the vehicle by securing the polyester strap handle under the trunk lift; Tag Bags are a vinyl pouch that license plate is inserted into with a clear vinyl lens on the front that allows the license plate to remain visible during use. 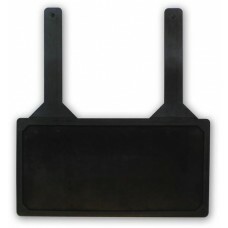 Finally, the Magna-Rubber is a rubber plate holder attached to a magnet; the magnet secures to the vehicle during the test drive and the license plate slides into the groove around the outside of the rubber holder.